According to the http://crimemapping.edmontonpolice.ca, there have been a total of 148 crimes committed in our BIA within the last 30 days. : 22 in Inglewood, 8 in Prince Charles, 5 in Sherbrooke, 4 in Dovercourt, 14 in Woodcroft, 8 in North Glenora, 25 in Westmount, 56 in Queen Mary Park and 6 in Prince Rupert. Community and business safety is everyone’s challenge and the need for collaboration to address crime in our neighbourhoods is stronger now than even last year. Age: most crimes are committed by young people. Youth aged 18 are 4 times more likely to commit a crime than a 50 year old. The younger the average age in a city, the higher the crime rate. Edmonton is in the top three cities with the lowest average age. Gender: most crimes (77%) are committed by males and 17% by females (6% are unreported). Edmonton has the highest male/female ratio in Canada at 1.03. Marginalized: most crimes are committed by the most marginalized peoples – Aboriginal people in Edmonton. With this knowledge, how can we, as a community of residents, schools, businesses and not-for-profit organizations work together to not only reduce the crime in our neighbourhoods but also help those committing the majority of crimes – young marginalized men? The Crossroads BIA is making an effort to connect the 15 schools within our 9 communities with our approximately 160 businesses to work together to support each other and provide opportunities to serve each other. We believe that if we can encourage and empower our community to work together to strengthen our youth we will begin the healing process and greatly reduce crime in our communities. We invite you to join us by reaching out to your local school to see how you can help and contacting us to find out about volunteer opportunities. 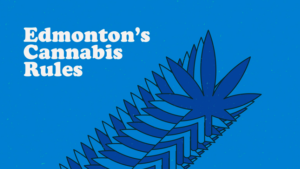 Do You Know About Edmonton’s Cannabis Rules?